Ascending Butterfly: Sunday, February 28, 2010 - This Week's 'Moment of Gratitude' and Great Giveaways! Sunday, February 28, 2010 - This Week's 'Moment of Gratitude' and Great Giveaways! Thanks Jana and Bri, I love your blogs too! 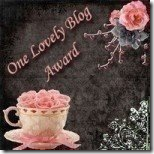 Ƹ̵̡Ӝ̵̨̄Ʒ - I am grateful to report that Ascending Butterfly is a nominee in the Blogger's Choice Awards '10 in the 'Best Blog About Stuff' Category, Please vote for us! Your vote is appreciated, winning this category will bring Ascending Butterfly the recognition that will help us attract bigger sponsors and offer more prizes to our loyal readers! This is not a daily, it's a one time vote only. If every Ascending Butterfly follower votes just once, we would sweep the category for sure! ENDING SOON ALERT: February 2010: The Ascending Butterfly Book Club review & GIVEAWAY - Featured Book in the Spotlight! enter to win this month's Book Club Title 'Dancing With Butterflies' by Reyna Grande HERE! Following from FFF at MBC. Nice to meet you! I am thankful for having a wonderful clean home to come home to everyday. Even when times are hard I remember the days of living on the streets and I know that no matter how hard it is that it could be worse and that makes even more thankful.